Perhaps but 35% is no bubble. Folks are qualifying and a serious down stroke embeds a cushion. Add real market stability and an actual broadening into the small towns as well and we see a large deep market that has adjusted to low rates and million dollar mortgages. The real risk is a decline in high paying jobs. Yet that sector merely participated rather than drove the market. It still takes a combined family income of several thousands of dollars to qualify and that is common enough. The real surprise is that we got here and stayed here allowing the entire market to generally adjust. The price structure is a pure result of one and three percent money along with sound banking. This is what was missing in the USA. We merely proved that once in place, it still takes several years for prices to adjust upward.. In a survey of housing costs around the world, the Economist magazine says Canada's housing prices are 35 per cent overvalued when compared to Canadian incomes. Against the level of Canadian rents, housing prices come in 89 per cent overvalued, according to the Economist housing index. In calling Canadian house prices out of kilter, the Economist joins voices such as Bank of Canada governor Stephen Poloz, ratings agency Fitch and even the International Monetary Fund, in pointing out that the rise of house values is out of sync with Canadian incomes. Of the 26 markets surveyed, the magazine found seven where housing prices are more than 25 per cent overvalued. Belgium leads the pack, with house prices 50 per cent overvalued relative to income. But also highlighted are Australia, France, Britain and Sweden. The Economist puts the blame on "ultra-loose" monetary policy. Mortgage rates are at historic lows around the world. Cheap borrowing has encouraged consumers to jump in and buy, driving demand and pushing prices higher. The result is a bubble, as housing prices rapidly outpace both consumer incomes and rental costs. In Canada, housing prices have risen steeply in the past decade, with the hot markets of Toronto and Vancouver seeing increases of 7.8 per cent and 7.1 per cent respectively in the past year. David Madani, economist, Capital Economics agrees low mortgage rates are driving the trend. "I share the concern about overvaluation and particularly in the major cities, Vancouver and Toronto," he said in an interview with CBC's The Exchange with Amanda Lang. But he points out that prices in most other Canadian cities aren't nearly as high relative to income. 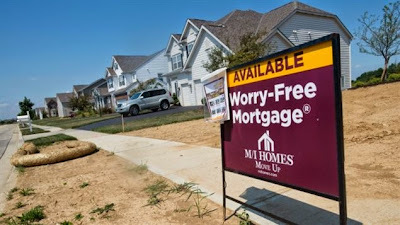 The IMF warned last week that the policies central banks had adopted to curb consumer borrowing — including limited mortgage terms and stringent lending criteria for banks — might not be enough to prevent bubbles. The IMF pointed to the persistence of low growth in the face of low interest rates and said advanced economies might be dealing with the problem for some time.